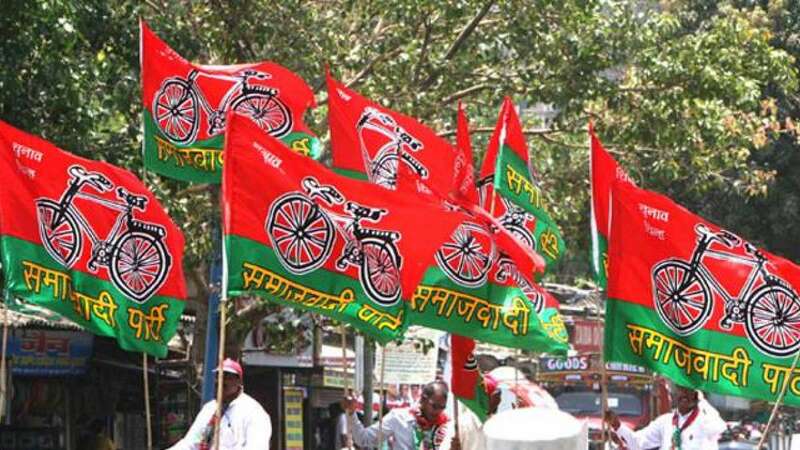 New Delhi : The Samajwadi Party on Saturday claimed that the BJP manifesto -- Lok Kalyan Sankalp Patra -- for the Uttar Pradesh polls has taken a leaf out of its poll document. The party highlighted the free laptop scheme mentioned in both the manifestoes as one of the "cut and paste" jobs. The Samajwadi Party distributed free laptops to meritorious students in its present tenure and has promised to continue the scheme, which was abandoned after it suffered a humiliating defeat in 2014 Lok Sabha Polls. The BJP has also promised to provide laptops free of cost with an added benefit of 1 GB free internet for a year. When asked about the similarities in their manifestoes, Amit Shah said the BJP's scheme was better as it promised laptops to all without the consideration of caste or religion, something, he claimed, was order of the day in the Samajwadi Party regime. The BJP and the SP manifestoes also promised free schooling for girls, filling of vacancies in the state police, setting dairy plants etc. The BJP, however, has said that there manifesto was not only different but also was above caste and other petty considerations, which it alleged was not being done under Akhilesh Yadav's watch.